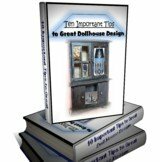 Become a time traveler as you explore all the doll house designs on this page. Travel back in time to your childhood. Back to a time when everything around you was oh so new and very captivating.... Believe it or not that kind of attitude will help you choose your best design ever. So have fun and explore as a child at heart. There are a number of mini designs to choose from today. Ranging from the traditional Barbie Doll's house to the Magnolia style, with prices just as varied. Do not be overwhelmed though by all you see and read about. Think more in terms as this being an awesome, enchanting adventure. One in which you, first, do not care where you land. And secondly you simply can not wait to get started. Ever feel like that? We have, especially when we are anticipating the arrival of a new project. One that excites us. 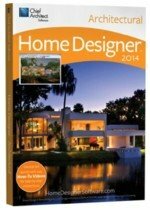 So begin making plans of what kind and how extensive your next doll house designs project will be. Then take the plunge and order it. It's so good to be involved in something that just makes you happier the more you work at it and create. Yes just like a child you are willing to see and touch all you encounter. And all is new and very exciting to you. With Greenleaf versions you will experience professional miniature builders. Most of the models in this category are worth every minute of the drooling over process. So work away at studying and make an excellent choice. Then join us at the log cabin or cottage of your dreams. Rest, relax and come back to your day job with a new outlook on life. Who says your hobby can not make your feel as if you have been on the best vacation ever? Those who like cut out project books will naturally like working with paper houses. These books give a table top display more character without the expense. And no, they are not only for model railroads. Done properly they can add to your mini structure scenes. Who can resist plastic canvas creations? There are numerous patterns available for your favorite fashion doll. By studying the ideas available most will not be able to wait to get started. These pattern books truly are both imaginative and intriguing. So get your projects started here. Quick-build, ready-made, finished, or assembled houses represent the varieties that come prepared for you. All you will need with these styles is to decide with what and how you will display miniatures in them. These range among the easiest designs available if little to no work is what you are looking for. Improvising designs include ones such as a dollhouse bookcase or castle style. These both require some imagination to make them complete. Seeing as your imagination is your best tool for any miniature work. This particular scenario should not pose a problem for you in obtaining your most desired design. If this happens to be the path you want to take, go for it. The cardboard style has been around for a number of years. There are still items we are all aware of that remain constructed of this material. Mostly for its cost effective qualities. However if this is your desire then researching this page can help find what you are looking for. This brings us to our final category of custom built doll structures. These houses are for people who know what they want, have the ability financially to order it done and do not really have the time to build for themselves. You love these mini structures so we have created your section here. Understand what you really want in a structure. What you like plays a huge roll at this stage. So know your own tastes well. Open Home Designer and begin picking the features you want. Choose the layout and add the finishing elements. Print off your plan, gather your materials and begin constructing. Your tiny dwelling will have the added feature no store bought model contains. Your own sense of accomplishment and a job well done. Showing off your structure is the icing on the cake. Make sure you prize the moments. To start with heavy paper material has long been used to construct miniature buildings in the railroad hobby. For instance a lot of houses featured cardboard pieces so these structures could be folded and placed in a box for storage and shipping. Cardboard being after all another form of heavy style paper. There are numerous books of paper elements you can add to any miniature display today. Cardboard is and was a very light weight building material to construct with in the first place. The old style cardboard was called composition board and was used as a solution in transport and design. Plastic Canvas is another of the structural substances we encounter as we study tiny dwellings. This material is creative, strong and does not require a lot of specialized tools to create your minis with. Just scissors, glue, yarn and of course plastic canvas. Log, cottage or cabin style structural bases are unique and inspirational. They are similar to wood structures but different. They require different items to complete their realistic designs. Special wood siding and construction elements are needed. To say the least wooden structures are the best you can acquire today. These are the styles that you could reasonably pass on as family heirlooms. Examples of these types would be a wooden barbie dollhouse or any other wooden mini structure you or someone else has created. Unique ideas for mini mansions include items made like bookcases or castles. These houses cause you to implement your own style into them to make them complete. Some times as we have studied mini structures we have found not enough solutions to help in some doll house designs. However that is not a bad thing. It does cause you to think in the end. And that is a good result. Metal was used for a certain amount of time in the past but is rarely seen today. People wanting to cut costs of construction have seen the discontinuance of this style material in modern doll house designs. You will see metal only as a character addition today. Metal dollhouses are generally a collectors item. Categories to find Your new Doll's Home. You will usually Find these Doll House Design Names both in Complete and Kit Form. The ones with kit after the name we only found in kit style. The ones without kit are both types. Also for your convenience use this link to continue searching the entire web for more doll house designs. Use the above words as suggested "keywords" and just copy and paste to see what ideas you come up with. Being more specific always add the keyword of "dollhouse and other variables" to the above for best results. Childlike eyes and ears enable us to find the very best doll house designs we are looking for. Exploring with the excitement of children puts us in the atmosphere of fun right away. Instead of waiting for it somewhere down the line. It's a tool we adults can cultivate so as to always continuously have fun in whatever we seek. Books are the best source of ideas there are. We have supplied the below info. Click on the bottom set of numbers to advance the pages. Search box below is not used to search our site. It is provided to help search this particular group of products only. For additional info on this and other product boxes see our explanation here.